Why do we have to grow up? Life just seemed so much simpler as a kid! Now I’m ‘all grown up’ with kids of my own. My kids are constantly wanting me to see life through their eyes. Something that seems mundane or ridiculous may be absolutely amazing or hilarious to them! So why do we, as adults have such a hard time connecting with the little minions running around our house? It’s because we get so caught up in the stresses of ‘adult life’ and in the material things that don’t really last forever. Thank goodness for my sweet children who are a reminder to me each and every day that I need to slow down and enjoy life a little more. 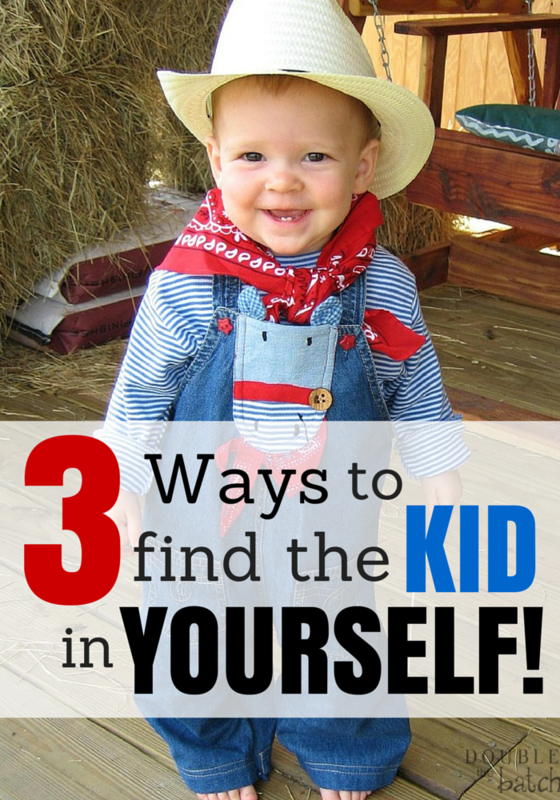 Here are 3 ways to find the kid in yourself today! Slow down, pretend like you’re 3 feet tall again, and enjoy the view from down there! 2. LAUGH! If you are getting too serious and stressed out, find SOMETHING that will make you laugh! Laughter really is the best medicine. It always helps ease my tension and to see life on the brighter side! 3. Spend some time with the ‘little people.’ Kids know how to have fun, smile, laugh, and see life in a whole new light. My kids like to watch silly movies. They are always begging me to watch them with them, but I am usually too busy or have ‘better’ things to do. Sometimes, however, we find a show that both parties can laugh at and enjoy. You probably know what I’m talking about. Every now and then, you find a show that makes both YOU and YOUR KIDS laugh. Shaun the Sheep is one of those shows. I was excited when I found out that the Shaun the Sheep Movie is coming to theaters on August 5th. My kids are so excited and have been watching the trailers with me. I think it is amazing how they do the claymation! My kids laugh at all the crazy adventures Shaun has with his friends and the funny solutions they come up with for problems that come their way. 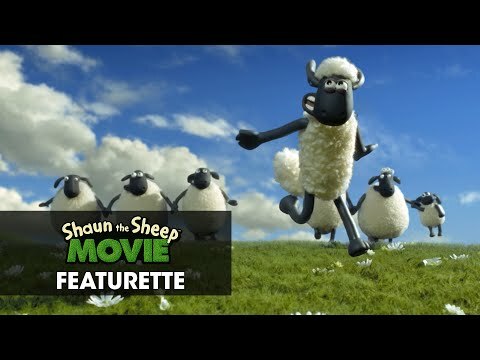 Shaun The Sheep Movie – "Meet Shaun"
When Shaun the Sheep decides to take a day off, he gets more than he bargained for and his adventures lead to the big city. It will be fun to see how he becomes the ‘wooly hero’ again and gets everyone back home! The film is geared for children ages 4-10. Check out the official Shaun the Sheep website here or check it out on Facebook or Twitter. Isn’t it about time you found the kid in yourself again? Serta is holding a “Shaun the Sheep Movie” sweepstakes! On the last day of the promotion, one grand prize winner will be randomly selected to receive a Serta Perfect Sleeper mattress and a hometown screening of “Shaun the Sheep Movie”! To enter, just head on over to Serta’s Facebook Page! 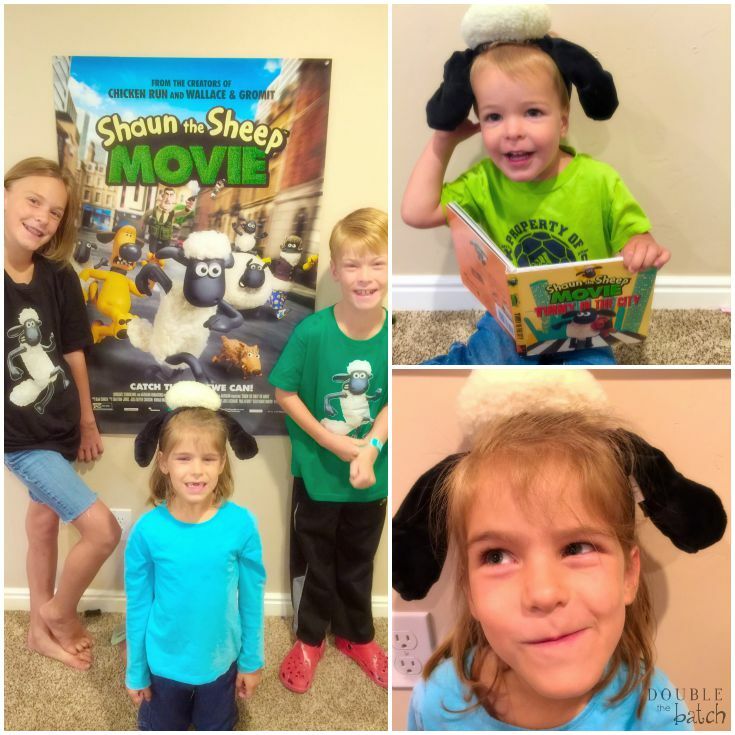 Win a Shaun the Sheep Prize Pack! To make things even MORE exciting, we will also be giving away a Shaun the Sheep Prize pack to one lucky winner here on Double the Batch! To enter, just comment below by August 13th and tell us who your favorite character is from Shaun the Sheep and why! Winner will be randomly selected @ 9:00 MST.